A solid VIP package for a night out on the town. Excellent for birthday parties and exciting weekend nights. 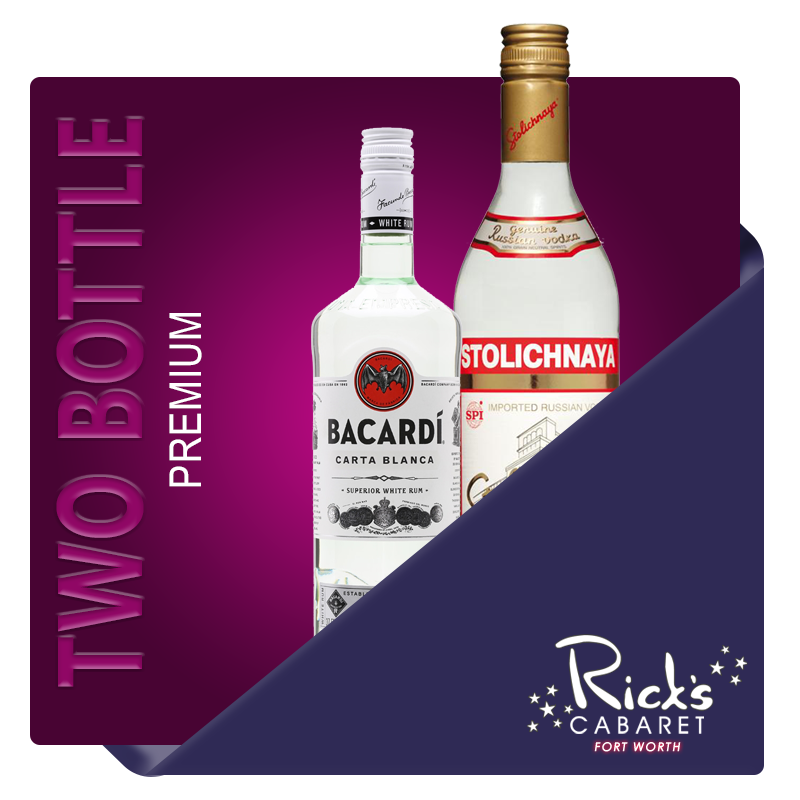 Rick's Cabaret Premium Package includes two bottles of premium liquor and VIP treatment and amenities.